Fr. Volodymyr was born on January 3rd, 1963 in Bukovina, Ukraine. In 1987, he completed his Seminary Studies in Odessa, Ukraine. He was later ordained as Deacon by the Metropolitan of Bukovina at St. Michael's Cathedral in Chernivitsi, Ukraine. In 1990, Fr. Volodymyr left Ukraine for Canada. In May of that same year, he was ordained as Priest, by the late Metropolitan Wasyly (Fedak), in the Orthodox Church of Canada. After his ordination, he served at St. George's Church in Grimsby, Ontario, Holy Trinity Church in London, Ontario, as well as at St. Michael's Church in Edmonton, Alberta. Fr. 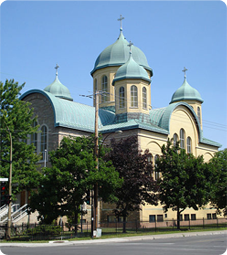 Volodymyr has been serving at St. Sophie Ukrainian Orthodox Cathedral since August 1999, where he remains today. Fr. Volodymyr is the proud father of two daughters, Irena and Luba. In May 2006, after 15 years of priesthood, Fr. 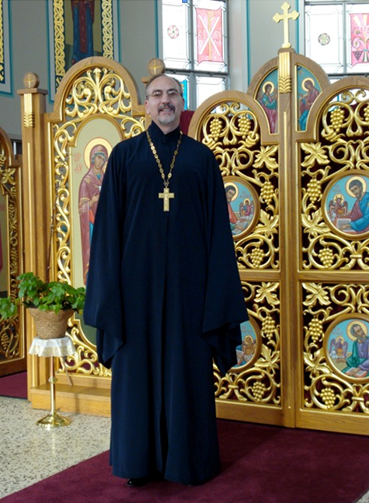 Volodymyr achieved a higher ranking status, becoming Very Reverend Fr. Volodymyr. In addition, on November 20th, 2006, he received his Master's Degree in Theological Studies from Concordia University in Montreal, Quebec. For the past 10 years. Fr. Volodymyr has been involved with Camp St. Sophie, 5 of which he has been Director. In addition to his pastoral work at St. Sophie Cathedral, Fr. Volodymyr was re-elected to the Consistory Board for a second term at Sobor 2010.